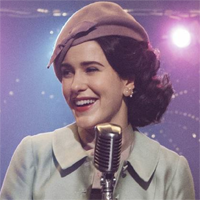 Showing 1 - 15 of 58 articles tagged "The Marvelous Mrs. Maisel"
“I’m Eastward bound,” the This Is Us star said in a video posted to Twitter. 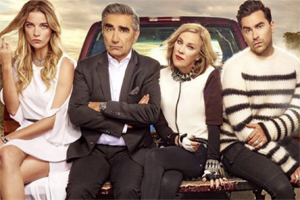 The Amazon series will go back to the episode number from its first season. Amy Sherman-Palladino said at Paleyfest that Season 3 will expand Midge's horizons even more, resulting in Mrs.
Paleyfest moderator Patton Oswalt asked the Amazon cast what they'd like to see their characters do in future seasons. "I think I’ve heard that we’re going to Miami in June. The couple will continue developing new Amazon TV series under their new deal. Rachel Brosnahan calls out critics of Mrs. Maisel as a mom: What about Don Draper and Walter White? In response to a claim that her The Marvelous Mrs.
As Deadline points out, it's common practice for stars of hit series to renegotiate their contracts after two seasons.